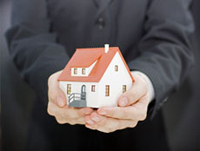 Louisville Real Estate & Property Management, Louisville Real Estate & Property Management, Louisville, CO Real Estate & Property Management Companies. Louisville is a city that blends small town warmth with a progressive, modern outlook. Main Street retains the nostalgic charm of yesteryear in the midst of a vibrant business community featuring a wide variety of companies, including high tech and alternative energy. Louisville is located 25 miles northwest of Denver and 6 miles east of Boulder with a population of just over 18,000 as recorded by the 2010 census. The town was named for Louis Nawatny, a local landowner who platted his land and named it for himself. Louisville began as a rough mining community in 1877, and when the mines closed in the 1950's made a transition to a suburban residential community. According to CNN/Money and Money magazine's list of the 100 best places to live in the United States, Louisville was placed third in 2007, first in 2009 and 2011, and second in 2013. Additionally in 2012 Family Circle magazine placed Louisville among its top ten "Best Towns for Families". Some highlights the City of Louisville offers its residents is a recreation/senior center, 26 city parks, 1,800 acres of open space buffer zones, 26 miles of trails and bicycle paths, and an award-winning $9 million public library with study rooms, teen areas, and a fireside reading room. The Louisville Public Library has long had one of the highest circulation rates in the state of Colorado. Be sure to enjoy all downtown Louisville has to offer in the summer during its highly popular Street Faire every Friday night. At Monarch High School, we believe in "Creating Bright Futures, One Student at a Time!" Monarch High School is a comprehensive college preparatory high school with an approximate graduation rate of 90 percent. Students are encouraged to stretch themselves academically through a rigorous Advanced Placement program and can earn up to 64 college credits through our CU Succeed Program. We support student success through Freshmen Seminar, weekly tutor sessions for all students, and a tutor center. We are a BYOD (Bring Your Own Device) school in which students bring computer devices of their choice to enhance their learning. In addition, a highly competitive sports program, an accomplished fine arts program, and a vast array of clubs and activities provide multiple opportunities for students to pursue excellence. Monarch features a Da Vinci Lab, which includes an award-winning robotics program. The lab gives students the opportunity to explore pre-engineering, pre-design and applied technology. Also, Monarch is Colorado's first High School of Business, preparing students through a dual enrollment (college/high school) program for careers in business. Fireside is a neighborhood school serving the Louisville community. Our school is characterized by strong academic programs, coupled with a philosophy that encourages respect and celebrates the development of the whole child. With a rich multicultural population, Fireside serves families speaking 15 different languages. Points of pride include our talented and gifted program, English language development instruction, special education support and very strong music, physical education and art programs. Fireside has an experienced staff that welcomes our dedicated parent volunteers. As a result, we provide a first-class learning experience. This school also offers free and tuition preschool classes that have a focus on both academic and developmental learning standards. Monarch K-8 School serves PK-8th grade students from Louisville and Superior. Administrators, teachers, and support staff strive to provide all students with a safe learning environment characterized by a rigorous curriculum and a caring community. Our comprehensive course offerings are taught by a passionate, creative, and dedicated staff committed to developing the whole child. Community is built at Monarch K-8 through our ICARE character education program and events, various extra-curricular activities, and by collaborating with our active Parent Teacher Association. Monarch K-8 is a true community of learners. This school also offers free and tuition preschool classes that have a focus on both academic and developmental learning standards. Coal Creek Elementary maintains a proud tradition in Louisville as a "neighborhood school," serving 450 students, K-5. Rated by the Colorado Department of Education as "exceeding" academic achievement expectations in all areas examined by the state, Coal Creek teachers teach the BVSD curriculum based on a child-centered, holistic approach to education. Students receive daily experiences in general and instrumental music, physical education, library/ technology and art. The school is dedicated to strengthening students' problem-solving skills by integrating the "Habits of Mind" model, based on the work of Dr. Arthur Costa. Extracurricular activities include Destination Imagination, Spanish, scouting, chess club and more. After-school care is offered. Hallmarks of the school include a low mobility rate and high parental involvement. Centrally located in Boulder County, Colorado, Catalyst High School is an internationally accredited high school offering students the opportunity to experience a supportive and highly individualized education. Our flexible curricula and class schedules are tailored to meet each individual student's strengths and interests, and allow enrollment at any time during the school year. Catalyst's mission is to nurture promising teens and empower them to develop responsibility for their own education. Catalyst serves unique learners who need more flexibility than mainstream education can offer. We teach unconventional students seeking genuine challenges, gifted learners who wish to concurrently enroll in college, twice-exceptional students who are advanced in some academic areas and excel if given appropriate support with learning challenges, teens who learn best in small classes and through supportive relationships with teachers, and students who require scheduling flexibility to accommodate career-related opportunities. Alexander Dawson School challenges its students to achieve excellence of mind, body, and character through a rigorous college-preparatory program. Dawson graduates are young men and women who achieve their individual potential, savor life, and meet the challenges of the world. Dawson is committed to the development of character. To facilitate the work of the community in this area, Dawson has adopted four virtues as points of emphasis: respect, compassion, courage, and integrity. RESPECT is defined as a sense of the worth of a person, a personal quality or ability, or the manifestation of a personal quality or ability. COMPASSION is the humane quality of understanding the trials, challenges, and suffering of others and the desire to do something about it. COURAGE is the quality of mind that enables an individual to face difficulty while overcoming apprehension or fear. INTEGRITY is a commitment to a set of core virtues, both personal and communal, and the self-respect that comes from doing the right thing, being honest, and being ethical. September High School is the longest running independent high school in the city of Boulder, and we're proud to be celebrating our 40th anniversary this year. Our innovative approach to education has a proven track record and is accredited by the North Central Association. September High School is an intimate and supportive community that fosters individual development and reawakens the love of learning! St. Louis is a fabulous Catholic school that has been nestled in the heart of Louisville for over 100 years! We have educated thousands of students over the years and take great pride in all that we do. If you are looking for a school that has a solid Catholic identity, high academics, and a great community spirit, you have found the right place! The Archdiocese of Denver Catholic Schools give parents confidence that their investment in a Catholic School education will support their child's complete development and personal success. A rigorous, time-tested curriculum taught by committed faculty in a faith-based and nurturing environment results in measurably accomplished academic achievement. Catholic teachings, faith and traditions are integral to a curriculum that reinforces what is taught at home, including virtues of discipline, respect and responsibility. These will provide guidance and inspiration as your child navigates life's challenges. K-8, we strive to build an alternative model of education that deeply connects children and parents to themselves, humanity and the planet. Our mission is to educate each individual to develop their highest potential through an integrated and balanced intellectual, emotional, physical and spiritual curriculum. We accomplish these objectives through experiential, meaningful, nature based learning. Welcome to Boulder Country Day School, where academic distinction meets education with character. BCD is a top-rated, accredited private school in Boulder, Colorado where every child has the opportunity to discover his or her own unique excellence. Distinguished by small class sizes, outstanding faculty, rigorous curriculum and a focus on community, our preschool, elementary and IB middle school teachers strive to create a well-rounded educational environment that balances traditional subjects with the arts, world languages, athletics and project-based learning. Pre-school thru middle school, Shepherd Valley Waldorf School is located on a unique 38-acre campus in Niwot. Our classrooms and expansive grounds offer school days filled with imagining, moving and creating. With Parent-Child classes, a Pre-School/Kindergarten and Elementary Grades through Middle School, we offer teaching expertise and a developmentally appropriate curriculum that allows students to blossom and prepares them for a lifetime of academic success and engagement. Located in the heart of Louisville, Colorado, our school is "all designed for learning." We offer Early Childhood Education for Infants starting at six weeks all the way through after school. This includes our Private Kindergarten program! We also offer Private Tutorials for children in the subjects of Phonics, Reading, Math and Spanish! K-12, the Patchwork School is an innovative non-profit organization promoting children's rights and meaningful educational options for all, at the heart of which is a community-based democratic school for children ages one and up, located in Louisville, Colorado. By respecting children as people with ideas, interests and opinions, and by utilizing our community's resources, we have created an experiential learning environment that fosters critical thinking and problem solving, develops communication and leadership abilities, nurture's self-confidence and self-direction, promotes compassion and sustainability, and most of all preserves a passion for learning. Through the school, our parent education, teacher training, and community building, we advocate for freedom, responsibility and compassion in community. We are a Full Member School of the American Montessori Society and are located in Louisville, CO, just 6 miles southeast of Boulder. Our mission is to provide a safe environment in which children comfortably and confidently can attain the skills necessary to become happy, responsible, contributing members of society. The process of learning at Fairview Montessori is an intrinsically rewarding one, and the skills acquired here are born of the child's natural desire to explore the environment and to make sense of the world. With our well-qualified teachers, the Montessori materials, and the carefully prepared environment of a mixed-age classroom, our students will gain the independence and self-confidence necessary to successfully navigate their surroundings. Even after moving on to another school, we hope our students retain their natural curiosity for learning, are able to care for others and the environment, and trust in their ability to learn from and make the most of any situation. Children learn in a variety of ways and at their own pace. Our carefully planned curriculum is designed to inspire your child at every age and stage. Built around extensive research, 21st-century technology, and developmentally appropriate instruction, our curriculum introduces concepts of math, science, language, culture, environment, art and health. If you’d like additional detailed information or explanations into Louisville's demographic and mapping data that is shown below, be sure to click anywhere within the widget where you’ll then have the opportunity to individually click and review the Livability, Amenities, Cost of Living, Crime, Education, Employment, Housing, and Weather portions of the demographic data shown here. There’s a wealth of information to be learned from this portion of the website, and if you’re looking to live or invest in a new city, then this resource should definitely be reviewed as part of your decision making process.